Numerous travel writing experts, organizations, and websites, offer sound advice to freelancers around the world. Several of them produce and mail out weekly or monthly newsletters or e-zines to their followers. Over the past ten years, I’ve subscribed to dozens of these travel writing e-zines. I’ve loyally stayed with some, because they continue to offer invaluable advice. In fact, I’ve implemented advice gleaned from a couple of these and made thousands of dollars almost immediately! And I’ve found magazine leads that have led to paid travel assignments and press trips. I look for newsletters that provide me with new or interesting travel writing information that either lines my pockets, gets me more assignments, or advances my knowledge of the freelance travel writing game. I’ve also unsubscribed from plenty of other travel writing e-zines because I wasn’t walking away with any useful or practical information. Here are seven of my favorites, with brief introductions. I’ve also provided links to their subscription or membership pages. I hope you try some of these travel-writing newsletters and e-Zines. You should easily be able to figure out if a newsletter is working for you within a month or two. If they’re not resonating with you, and if you feel they’re wasting your time, then go ahead and unsubscribe from them. Reading e-zines can provide you with yet another distraction from your writing! They can soak up a disproportionate amount of your time. 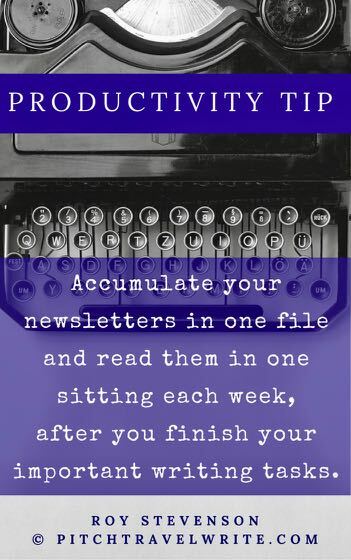 Consider accumulating them in one file and reading them in one sitting each week. I’m obviously biased about this e-zine, because I publish it! Each free weekly PitchTravelWrite.com e-zine contains a featured post—a fresh new article on marketing and selling your travel stories, or getting published more frequently. I often write about how to score press trips. 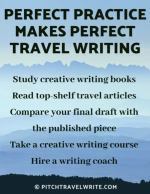 Sometimes I'll feature a “how to” piece about improving your travel writing, or business advice about making more money and working more efficiently. It also includes my travel quote of the week; what we’re doing during our S.E. 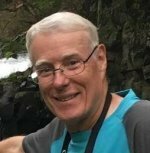 Asia long-stay; links to travel writing resources like travel writing conferences and workshop calendars; links to travel writing books and reference guides; and updates on my coaching and master class programs. 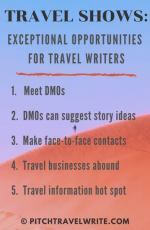 Our high “open” rate is a good indicator that we’re catering to a travel writing crowd hungry for good actionable sales and marketing advice. Trish Miller’s Travel-Writers-Exchange.com is “a community of travel writers, bloggers, and journalists. We exchange tools, tips, and resources, and provide a forum to help our community expand their online reach and find new opportunities. To that end, this site is intended to serve as a resource for all travel writers – a place to find information, inspiration, education, encouragement, advice, networking, and possibly even travel writing opportunities. Trish sends out the occasional e-zine with special announcements. Produced by Ashley Gibbons, this meaty twice-monthly bulletin contains lengthy updates on world-wide tourist destinations and events that want you to visit their attractions. Ashley’s most recent bulletin was 34 pages long, and packed with good stuff. The travel agencies and destinations will consider your assignments for comped stays, meals, tours, etc. ITWA is the world’s largest association of professional travel journalists, with links to more than 2,000 travel industry reps.
Former CNN Travel Editor and freelancer, Tim Durston, produces a pithy newsletter for subscribers to his TravelWriteEarn.com website. You’ll get a free ebook, 100 Titles That Buy Travel Articles when you subscribe. The articles on Tim’s website are excellent. When you join a chapter of Travel Massive, primarily a travel blogger’s platform, you’ll receive a weekly update via email. Membership is free. What does Travel Massive do? It’s the world’s largest network of travel industry change makers who want to make travel better in more than 174 countries. Produced by Terri Marshall and Tim Leffel, this e-zine interviews a published and successful travel writer, blogger, author, editor, or freelancer each month (including yours truly). Get insider tips from travel blogger Tim Leffel and advice that will increase your income. Which Travel Writers Association is Right For You?